When community-driven e-commerce startup LiveShopBuy initiated their first crowdfunding campaign, they tapped us to quickly create and implement a series of social ads that would attract investors to their funding page. After some informative interviews and research, we created audience profiles and several creative versions that we felt would help them stand out in their target’s feed. 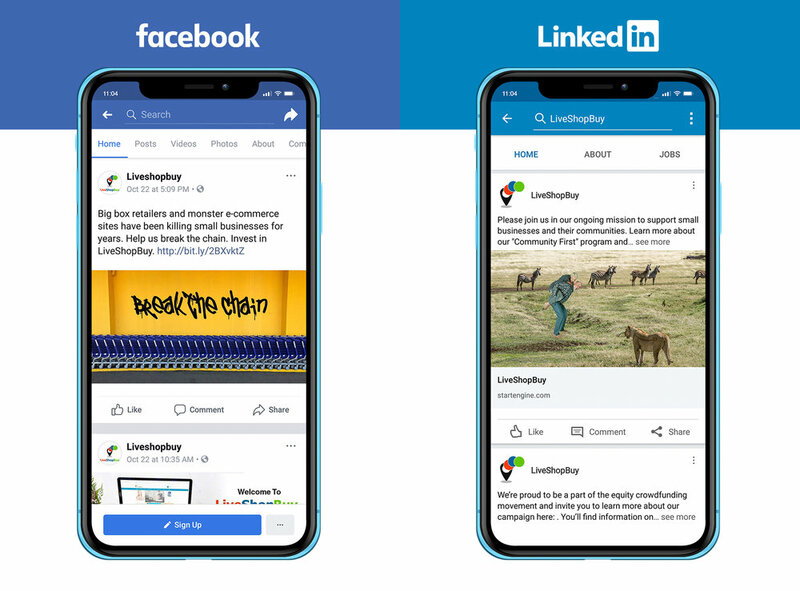 We then conducted a quick series of A/B testing to determine the most effective ads before proceeding with a two-week campaign on Linkedin and Facebook that helped them gain optimal exposure with a limited budget. Make a Smart Buy. Imagine you had invested in a “certain” e-commerce platform when it was under 50 cents a share? Check out LiveShopBuy, the small business marketplace. Break the Chain. Big box retailers and monster e-commerce sites have been killing small businesses for years. Help us break the chain. Invest in LiveShopBuy. Invest in something more. 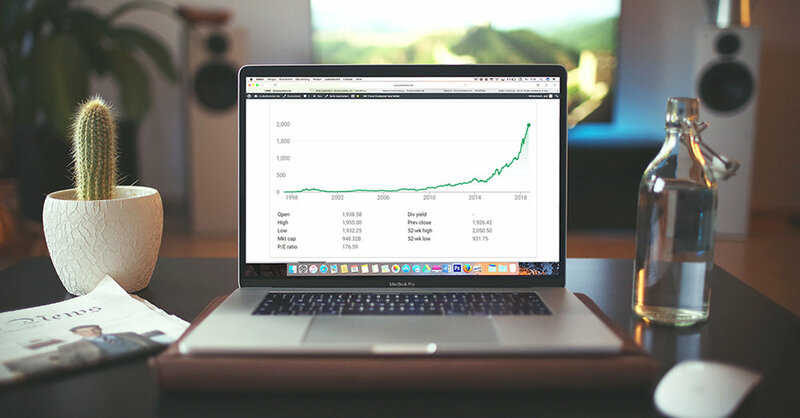 What if an investment offered more than a return? What if it leveled the playing field for small businesses while giving back to the local community? Save Mom and Pop! Major online resellers charge huge fees on items sold. Invest in the company helping small businesses level the playing field.